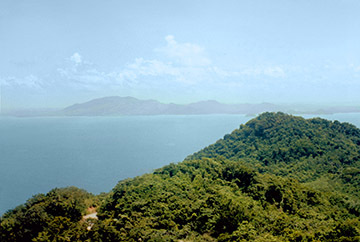 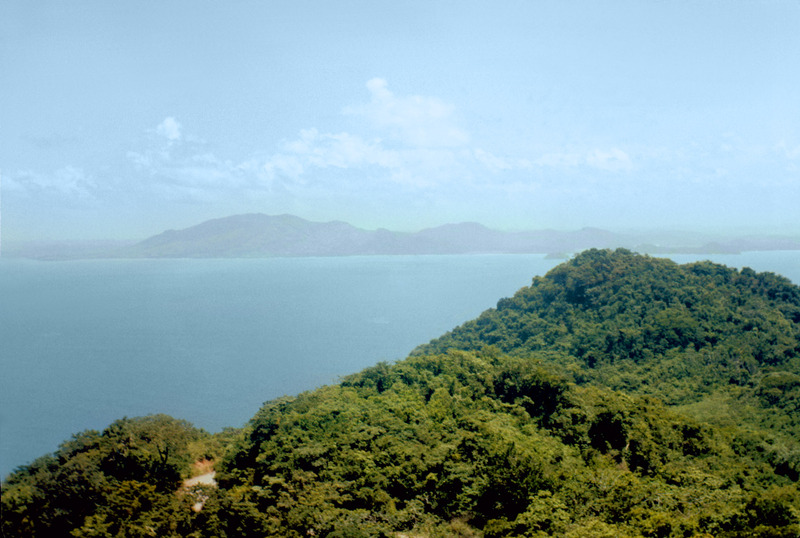 Towards Fort Kobbe from the top of Isla Taboga Venado Island is just visible over hilltop. Looking towards Fort Kobbe from the west end of the island. 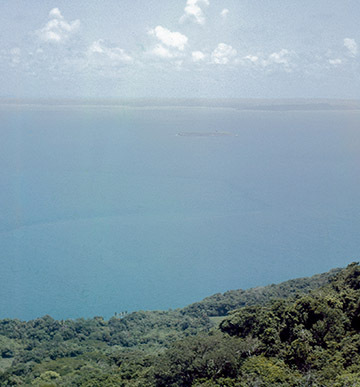 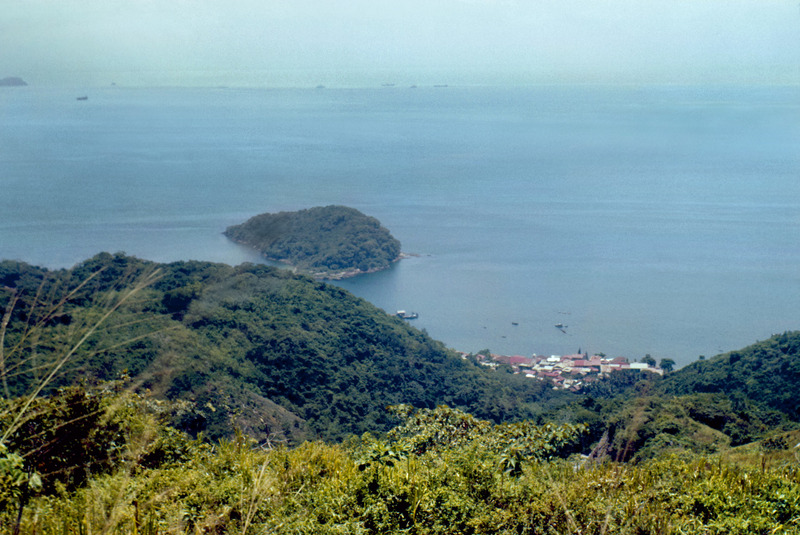 Kobbe Beach (now Playa Bonita Resort) is off the left of the little flat island. Taboga town below, the little "island" called El Morro de Taboga (The Nose), ships waiting to transit the canal.